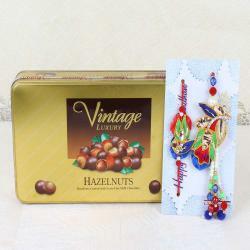 Product Consists: Nutella N Go Choco Biscuits (Weight: 52 Gms) with Mogli Rakhi along with Rakhi Greeting Card. 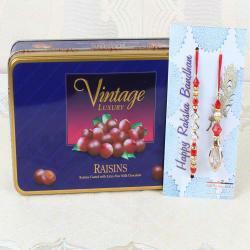 Amaze your loved ones with this special pack which has a beautiful Rakhi greeting card along with kids’ special Mogli Rakhi and Nutella n Go Choco biscuits. 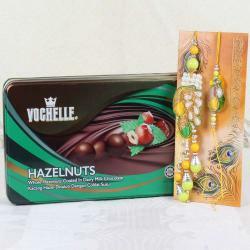 The Mogli Rakhi is tied on a designer card designed especially for the occasion and to bring an excitement in the celebration. 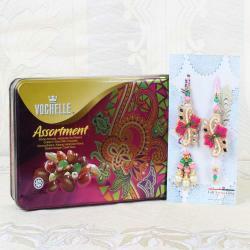 This special pack is designed such that it will impress the little angles of the family and will make them feel awesome. Send your love with this pack and make a difference. Let your little masters make beautiful memories which will last for life. 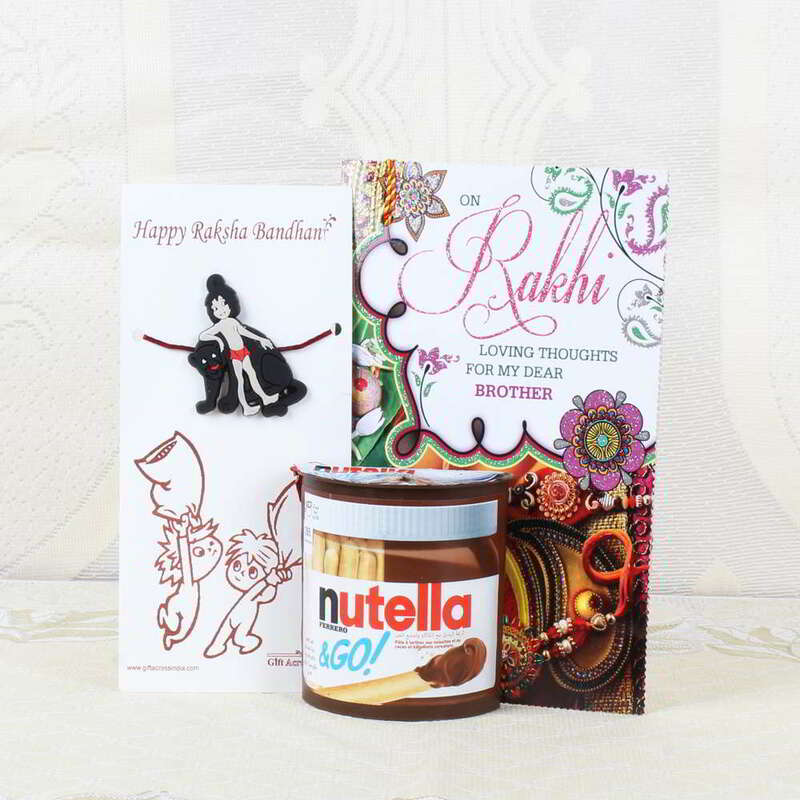 Product Consists: Nutella N Go Choco Biscuits (Weight: 52 Gms) with Mogli Rakhi along with Rakhi Greeting Card.